These are exciting times in terms of innovations in sleep technology. As well as the increasing popularity of wearables – ie fitness gadgets worn on the body – we’ve also seen many new tech products specifically aimed at monitoring and improving sleep. The latest contender is a pair of headphones which promises to create the perfect sleep sanctuary for you. Kokoon, a British company, has designed a feature-packed set of sleep tracking headphones which are comfortable enough to wear whilst asleep. However, Kokoon’s killer feature is EEG – sensors that measure electrical activity in the brain. EEG is used in sleep clinics and hospitals and is generally regarded as an accurate way to monitor sleep. Like the Chrona ‘smart pillow‘ which we looked at last month, the Kokoon EEG headphones are running a successful Kickstarter campaign, which has already raised 5 times their funding goal. 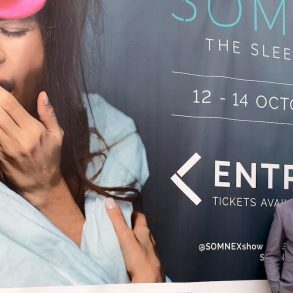 Eager to find out more, Sleep Junkies spoke to Tim Antos, CEO and Co-Founder of Kokoon to get the lowdown on their innovative new headphones. JM: Congratulations on reaching your Kickstarter target. For those who haven’t heard of Kokoon, can you give us a brief ‘elevator pitch’ which describes your product? TA: Thanks, and sure thing! 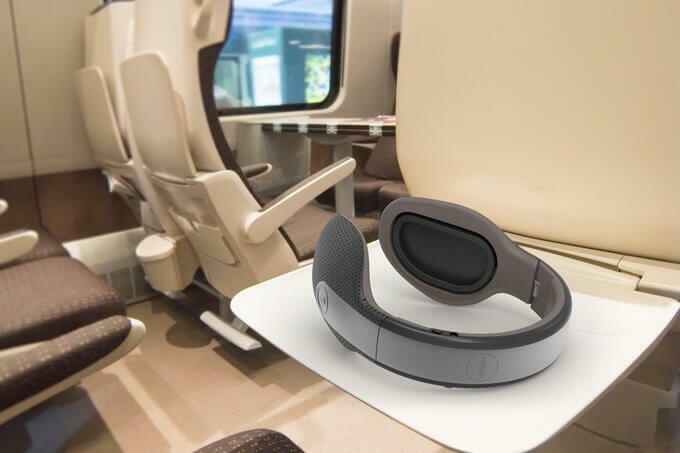 Kokoon is the first smart headset that helps the wearer relax and sleep better at home or on­the­go by combining comfort and high quality audio with smart sleep sensors into a single travel-­friendly package. Our headphones use medical­grade EEG technology to actively help users optimise their sleeping environment and improve their sleep. To ensure quality acoustics, we’ve partnered with Onkyo and Pioneer Corporation, who have over 70 years of experience creating high­quality audio. JM: How and when did you start becoming interested in sleep technology? What was the inspiration go build a pair of headphones for sleeping? TA: A couple of years ago I had a really big presentation coming up at work and I was so stressed that I just wasn’t able to fall asleep. I actually googled sleep headphones because I thought something like Kokoon would already exist, but was surprised to find that there were no really good non­-pharmaceutical options that helped you sleep overnight and let you self­ monitor your sleep. I was tired of wasting so much time trying to fall asleep, so I reached out to Rich with this idea and we’ve been working on them ever since. JM: The Kokoon headphones feature EEG sensors which detect electrical activity in the brain. The only other consumer product I can recall which uses EEG to track sleep is the Zeo Sleepmate, which sadly ceased trading in 2013. Most other devices on the market use either actigraphy (movement tracking) or heart rate to monitor sleep patterns. Why did you choose to incorporate EEG over these other technologies? 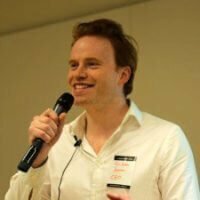 TA: We were fans of Zeo and were actually out in China with Zeo’s former head of engineering who had lots of great insights and lessons learnt. We found that using movement tracking or heart rate to monitor sleep patterns just doesn’t produce the quality of results needed to actually take control of your sleep, since movement and heart rate during sleep vary widely between individuals. 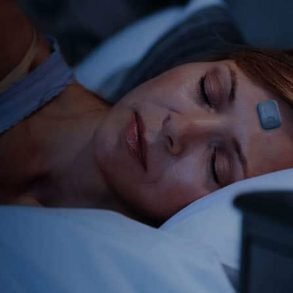 Though actigraphy is the most popular method used in current sleep devices to monitor sleep, it’s not taken seriously by sleep scientists and sleep professionals who research and conduct studies on sleep. EEG sensors measure your brainwaves to accurately​ track your different phases of sleep­­K​okoon headphones can determine the exact moment of sleep, the different phases of sleep and the perfect point in the natural sleep cycle to awaken. This allows the headphones to automatically adjust and tune the audio to ensure that regenerative deep sleep is protected from disturbances and that users wake at the perfect point in the natural sleep cycle. JM: The gold standard for diagnosing sleep disorders is polysomnography (PSG), which can only take place in a hospital or clinical sleep centre. Kokoon does not claim to be a medical device but how far away do you think we are before consumer products like yours can start to offer the type of reliable diagnostic advice you can get from PSG? ￼Many consumer products are now starting to create ways to self­-track and self­-monitor our daily habits and conditions, but there are many different challenges to consider before making the jump to using these products as diagnostic tools. Right now these products serve as excellent research and preventative measure tools that can be used to help improve overall quality of life, while leaving diagnostics to the professionals. Our team has experience in bringing medical products to market, however, currently we are focused on learning as much as possible from this current product before making that leap into being a medical device. JM: Apart from sleep tracking, Kokoon Technology has a lot of other potential uses, from lucid dream control, to meditation, and even as a learning aid. Do you envisage that Kokoon will stay focused on sleep, or do you see it as more of a technology ‘platform’ for ‘brainh​acking’ in general? TA: The company was founded to help bring better sleep and this will always remain a core focus of the company. The great thing about Kokoon headphones is that they are, first and foremost, an excellent pair of headphones that can be used for pretty much anything the wearer chooses. 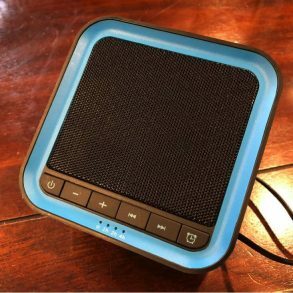 Some of our backers simply want something comfortable to help them fall asleep; others want to use them to experiment with different sleep cycles and learning techniques ­ cognitive behavioral training, binaural beats, sleep­hacking, and more. 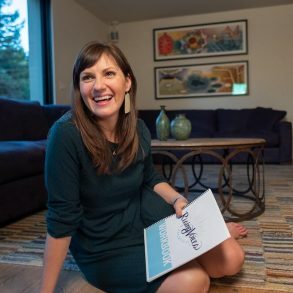 At the end of the day, they sound and look great ­ attributes that appeal to a broad swath of consumers. At this early stage in our life we are very open to all the exciting opportunities made possible by our technology. We already have plans to develop specialized apps for certain use cases, like lucid dreaming, polyphasic sleeping, and binaural beats. Our Kickstarter campaign also has a special developer’s package that gives backers access to our API and SDK, and we look forward to seeing what exciting applications the developer community can think up. We hope that our community will work with us to explore the exciting opportunities uncovered by our device whilst we focus on bringing the product to market. JM: One of the concerns about wearable technology, the Internet of Things (IoT), and our increasing reliance on phones and social media is the storing and sharing of personal data. In light of recent security breaches, cyber attacks, and the Snowden revelations, what are your policies on user privacy and big data? 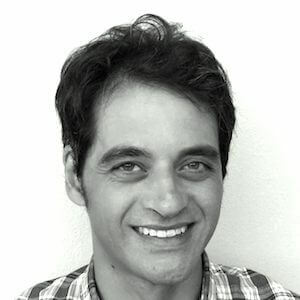 Privacy will be one of the major conflicts of the connected age. TA: At Kokoon, we do intend to put together a database on sleep data ­ after all, this is (hopefully) the first time in history that anyone will be able to collect consistent sleep data this accurately across such a wide base of people ­ but that data will always be anonymized and managed with the highest ­degree of care to avoid compromising anyone’s identity or sense of security, and it will only be collected from those who choose to opt in ­ with ample notice to do so. JM: What are the long term goals for Kokoon Technology? Where do you see the future of sleept​ech in say 10­-1​5 years? TA: Sleep accounts for over 1⁄3 of our lives, and people who struggle to sleep waste on average 7 years of their life doing so! Our ambition is to give people much greater control of their sleep so that they can get better quality sleep wherever and whenever they need. We would love to be in a place in 10­-15 years where people struggle much less with sleep, and are able to get such high quality sleep that they may not need to sleep for as long. Sleep is incredibly vital and effects all the things most important to us; our health, our happiness, our relationships, our work and our looks. We want to enable people to sleep better so they can lead more productive and fulfilling lives, and have more time to do the things that matter to them whilst feeling as energised and alert as possible. Although we know these are very ambitious goals, we are extremely excited by the potential of the new technologies we are exploring. The opportunities for personalised treatment, macro data analytics, remote treatment and machine learning feedback loops are very exciting, and we are looking to grow the team of academics and sleep professionals we work with to further explore these avenues. JM: Many thanks for your time Tim, we look forward to hearing more from Kokoon in the future!